It has been revealed who’ll be judging at next year’s Al Shira’aa Hickstead Derby Meeting (20th-24th June) and the BHS Royal International Horse Show (24th-29th July 2018), although this list is subject to change. 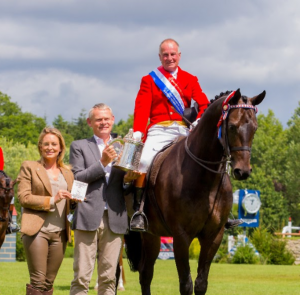 Top show producer Allister Hood has been selected as the first recipient of the Roger Stack Award, given to the person who has produced the outstanding showing performance of the year at Hickstead. Norfolk-based Hood was given the award after winning the British Horse Society Supreme Horse title at this year’s Longines Royal International Horse Show, with his riding horse Diamonds Are Forever. Allister not only took the overall Championship but also had two other horses through to this year’s Supreme, with his cob champion Our Cashel Blue finishing in runner-up spot. In October, Allister and Diamonds Are Forever became one of a few select showing combinations to do the RIHS/HOYS supreme double in the same year. 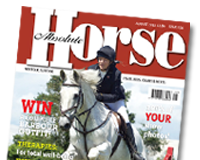 In addition, Allister has now won more Hickstead supreme championships than any other rider. He was presented with the award at Hickstead’s annual Showtime Ball (Saturday 18 November), in front of 200 guests. Roger Stack was one of showing’s greatest advocates – a top class rider, producer, trainer and competitor, a former Chairman and President of the British Show Horse Association, and Hickstead’s Director of Showing for 15 years. Last year’s Showtime Ball marked the last time many people from the showing fraternity saw Roger, who sadly died on Christmas Eve in 2016. The Showtime Ball gives owners, riders and producers from the showing world the chance to return to Hickstead for an end-of-season party. The Ball also raises funds for improving the showing facilities at the All England Jumping Course, and this year a raffle and fundraising auction raised more than £10,000. The money will be put towards making further improvements to the new Roger Stack Arena, which was completed ahead of this year’s shows, plus adding extra roadways in the stable field. “The World’s Most Famous Horse Show”, which hosts the most highly-regarded national showing Championships, will take place Wednesday 3rd– Sunday 7th October 2018 at the Genting Arena, NEC Birmingham. 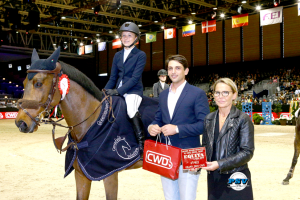 It was a day to remember for young Claudia Moore, aged 12 years and the youngest rider in the class, when she finished second in the FEI Ponies Jumping Trophy Grand Prix in Lyon, France recently. The class was one of a series five that are being hosted within some of the Senior CSIO World Cup shows this season as part of an initiative to give youth riders further opportunities and experience. These Pony World Cup qualifier classes all see league points allocated which qualify for a final to be held at the CSIO 5* World Cup show in Mechelen at the end of the year. From a field of twenty-one starters, it was just seven pony combinations that jumped clear across the testing 1.35m track to qualify for the jump-off. Claudia, riding the 13-year-old Elando van de Roshoeve owned by her mother Katrina, posted a superb first round clear to see themselves positioned mid-field in respect of the order of go in the jump-off round. Carla Garriga (FRA) and Mylana, a 9-year-old bay mare, were first to go and finishing clear in a time of 41.68 seconds they set a standard that certainly put pressure on the other young riders to follow them. With the following two riders picking up faults Claudia was determined to post a clear in a forward going time and doing exactly this she stopped the clock clear in a time of 40.20 seconds to claim the lead and relegate Carla behind her having shaved almost two seconds from her time. Holding the lead until the closing stages of the jump-off when penultimate rider Camille Favrot (FRA) jumped clear in an almost unbelievably fast time of 34.39 seconds on Uhelem de Seille it meant an ultimate 2nd place finish for Claudia in what had proved to be an incredible class to watch. Talking afterwards Claudia said “This has just been an amazing day. Both the other two riders that jumped clear in the jump off were French and the home crowd went mad for them, but it was also really nice that they cheered loudly for me when I went clear. I can’t imagine what it would have been like to do that in front of a home crowd. I have loved it today, my pony has been incredible and I really want to thank everyone at Lyon for allowing us pony riders to be here and having the opportunity”. 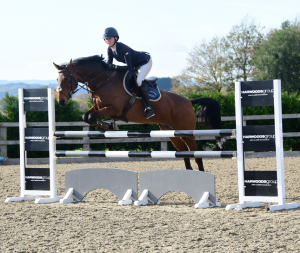 On the final weekend of Dodson & Horrell National Amateur Second Rounds, Coombelands Equestrian in Pulborough, West Sussex saw forty-four qualification seekers come out to compete across the 0.85m and 1.05m Second Rounds. With the Dodson & Horrell National Amateur Championships, held at Aintree Equestrian Centre in Liverpool during the 14th – 19th November, in sight, picking up one of the eight qualification places on offer in each class was at the forefront of everyone’s minds. After taking the Dodson & Horrell National Amateur 1.05m Championship title in 2016, Alice Ellison from Cambridge proved to still be on winning form as she rode Britney IV, an 11 year-old bay mare owned by Sacha Ellison straight in to first place. Taking all the risks, this partnership delivered a lightning fast double clear in 35.34 seconds. With a solid double clear, Sophie Ashton Rickardt from Chichester, West Sussex secured second place on board her 9 year-old bay gelding, Masterfly. This combination crossed the finish line in 37.31 seconds. Carys Jenkins from Leatherhead, Surrey scooped third place with her 8 year-old bay mare Savannahs Chacoa. This pair posted a double clear in 37.70 seconds.